For most kids, counting down the hours until the last day of the school year is about excitedly looking forward to lazy mornings and afternoons by the pool. But for thousands in Loudoun County, it marks the start of a three-month period where regular meals are hard to come by. More than 14,000 students in Loudoun’s school system come from families poor enough to qualify them for the federal free and reduced-price meal program. Many of those students rely on their school cafeterias for meals five days a week. That means during the summer months, more young people—and their families—turn to local food pantries for help, and this surge in requests for food comes just as the pantries’ donations dip. Donations to Loudoun Hunger Relief, the county’s largest food pantry, dropped 37 percent between April and August last year. 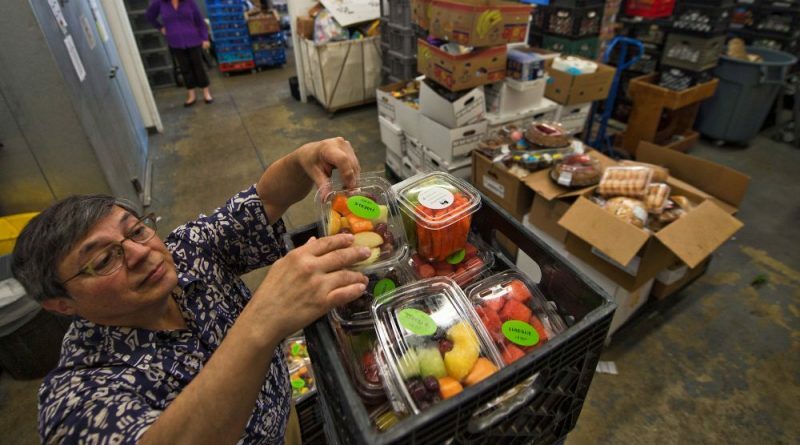 The food that helps pantries keep their shelves stocked through the summer comes from an unexpected source—area grocery stores and restaurants. Loudoun Hunger Relief, for example, receives food from 20 stores, including Giant, Food Lion, Target, Walmart, Wegmans, Costco, Whole Foods and Safeway. It also gets regular donations from Bonefish Grill, Starbucks and Great Harvest Bread Company. The stores and restaurants’ giving is consistent year round, and makes up about 55 percent of Loudoun Hunger Relief’s overall donations. The pantry’s top contributor is Giant Food on Catoctin Circle in Leesburg. If food is not sellable on the shelf because of cosmetic damage and has not expired or been recalled, the store will donate it. Nothing donated is bad to eat, according to Giant Customer Service Manager Wendy Bragg. Harris Teeter stores in Loudoun donate day-old bread and certain produce on a daily basis, according to Communication Manager Danna Robinson. It also uses fundraising campaigns to help feed those in need. Last year, Harris Teeter’s Loudoun locations raised more than $20,000 for Loudoun Hunger Relief in the form of $5 and $20 shopper donations, given to the nonprofit organization in Harris Teeter gift cards. Through donations at the register, Wegmans shoppers gave $56,000 to Loudoun Hunger Relief last year, which directly helps the charity’s bottom line, Montgomery said. The Leesburg store has donated to the nonprofit since it opened in 2005. Giving from stores and restaurants was made possible after the Bill Emerson Good Samaritan Food Donation Act passed in 1996, and further clarified in 2011 by a bill passed and championed by former U.S. Rep. Frank Wolf (R-VA-10). The legislation protects businesses from civil and criminal liability when food they donated to a charity in good faith later causes harm to the recipient. Because of this protection, businesses more freely give charities good, unsold food. The Blue Ridge Area Food Bank serves as an umbrella organization for food pantries in Loudoun and western Virginia. 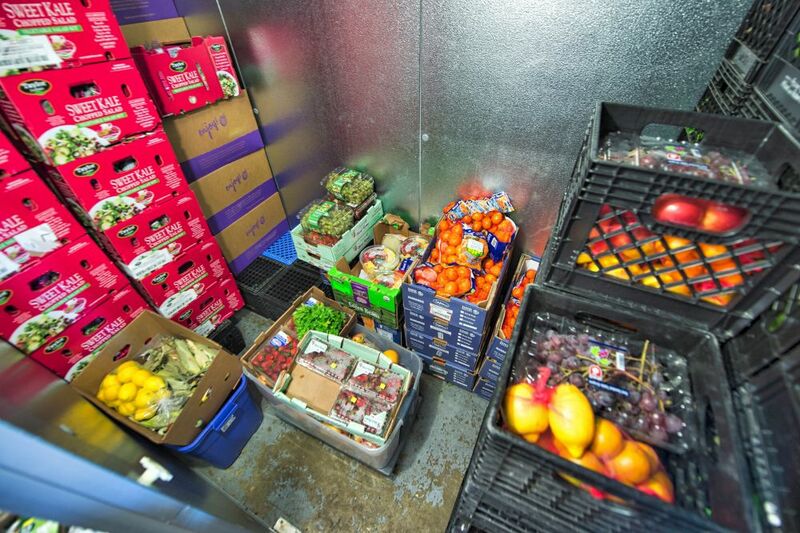 It connects grocery stores and restaurants with charities and organizes the logistics to ensure the food is kept fresh and is going to those who need it most. The consistent donations from businesses help Loudoun area food pantries run summer food programs to make sure the county’s youngest residents don’t go hungry. Blue Ridge Area Food Bank will work with USDA’s Summer Food Service Program to set up serving sites in Loudoun to provide breakfast, lunch and snacks to children who receive free or reduced-price meals from school cafeterias during the academic year. Also this summer, Loudoun Hunger Relief will partner with the Town of Leesburg’s Recreation Outreach to Community Kids (R.O.C.K.) for a second year to deliver more than 600 healthy breakfasts to kids in low-income neighborhoods. Victoria Woodson, an Ashburn resident and mother of two school-age children, has been getting food from LHR for about a year. Her children rely on a reduced-price school lunch during the school year, which is why summer is particularly hard on her family. 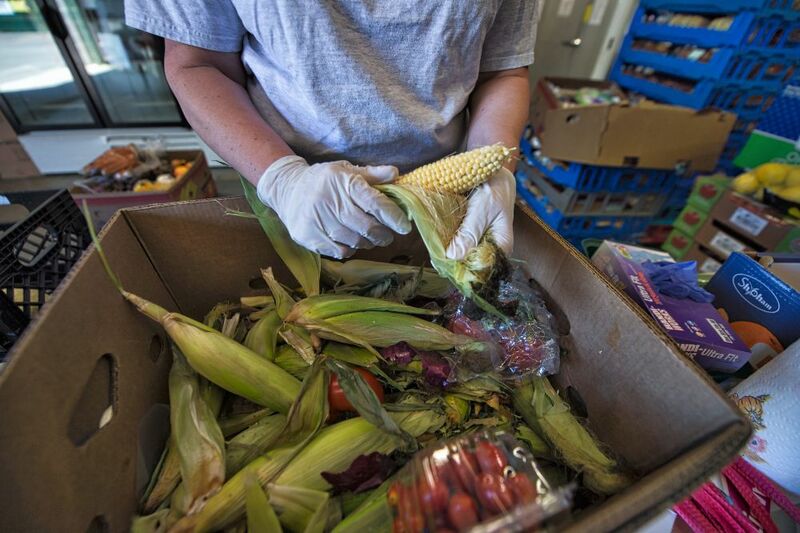 Despite local vendors’ consistent contributions, charity leaders are still asking for help from individuals to keep the food pantries supplied this summer, and Loudoun’s children fed. See a list of needed items from Dulles South Food Pantry at dsfp.org, and from Loudoun Hunger Relief at loudounhunger.org. Over the next several months, as part of the Community Foundation’s Faces of Loudoun campaign, Loudoun Now will run monthly articles highlighting men, women and children who have found a helping hand when they needed it most and the Loudoun County charities that provided it.